St. Patrick’s Day doesn’t have to be all beer and shepherd’s pie. In fact, it can be a great time to renew your New Year’s resolutions and refocus your energies towards getting—or staying—in great shape, eating well, and taking care of yourself. With that goal in mind, smoothies can be the perfect antidote to partying and drinking on St. Patty’s Day. Smoothies offer a great way to pack in the fruits and vegetables, protein, and fiber, for a nutritious snack or meal replacement. And in honor of this green-hued holiday, let’s focus on green smoothie recipes—drinks featuring kale, spinach, and other greens. So put down the beer stein and hoist your blender instead. The addition of mango and grapes here help tamp down the bitterness of the greens in this green smoothie, adding a natural sweetness that also complements the inclusion of lime. The use of avocado lends a rich, velvety quality to this green smoothie. This one also adds coconut meat and water, both of which pack in the nutrients. The addition of green tea will give you a slight caffeine boost on a drowsy day. 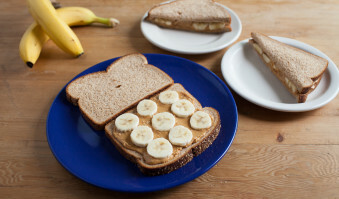 Bananas offer great carbohydrate fuel (perfect if you’re training for the Shamrock Run!) and kale is packed with fiber and vitamins. 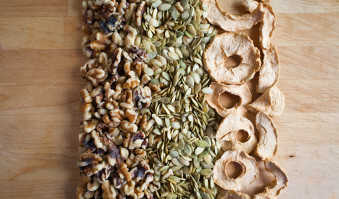 By adding flax seed, you gain heart-healthy omega-3 essential fatty acids and antioxidants. It’s hard to resist peanut butter in a smoothie. For the best results, opt for a peanut butter with no sugar added. You’ll gain the benefits of protein, fiber, antioxidants, and potassium, which lowers your risk of high blood pressure, stroke, and heart disease. And of course, it adds richness and creaminess. Kiwi and granny smith apples add tartness that helps cut the bitterness of the spinach, and the avocado brings it all together, adding creaminess to this green smoothie. Don’t forget to peel the kiwis first, and core the apples. Have any tips for making a yummy green smoothie? Let us know on Facebook, Instagram or Twitter!